The Catellani & Smith Lederam Manta S2 is a reference to the passion of its designer Enzo Catellani: the ocean. 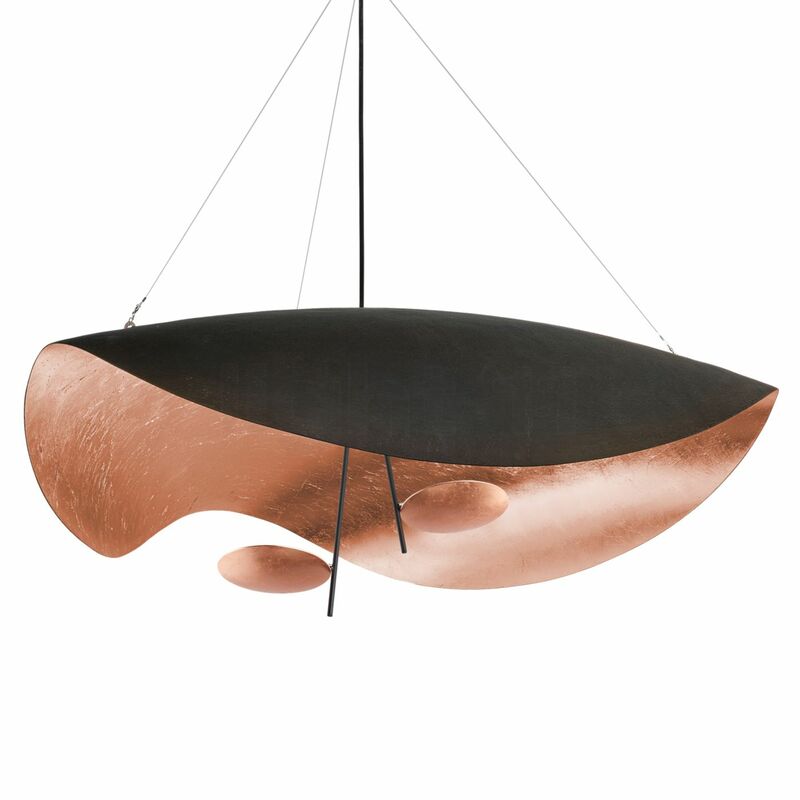 With this pendant light, the founder of Catellani & Smith has created a tribute to the elegant sea creature, the manta ray. Just like the majestic sea animal, the Lederam Manta S2 seems to float weightlessly. The curved shade made of fibreglass develops a particularly precious appearance in the versions plated with gold leaf or copper leaf. The illuminants are integrated into two discs in front of the shade. The design of the Catellani & Smith Lederam Manta S2 was penned by Enzo Catellani. This pendant light is equipped with a state-of-the-art LED module. 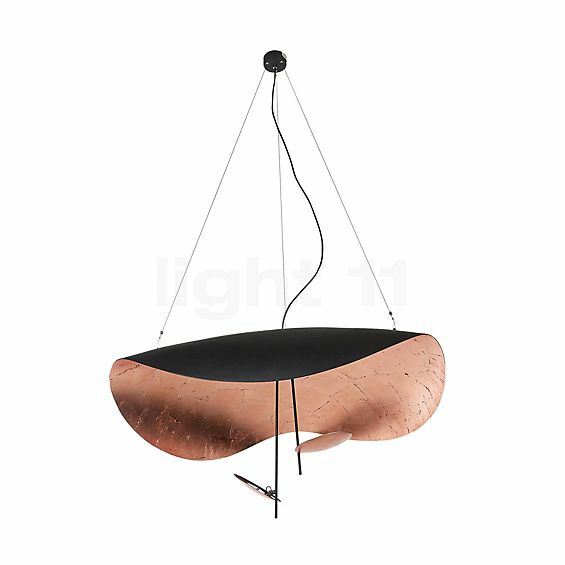 The metal plated surfaces of this pendant light create a mesmerising atmosphere. The LED modules embedded into the two discs emit their light towards the shade, which reflects it into the room. The two LED modules emit their warm white light upwards, where it is then reflected by the curved shade and spread downwards in a wide angle. Thereby, absolutely glare-free, soft zone lighting is created. Furthermore, the LEDs only consume little energy: the Lederam Manta S2 only needs 35 watts to generate a luminous flux of 3,180 lumens, which is equal to that of a conventional 200 watts incandescent lamp. Thanks to its high luminous efficacy (energy efficiency class A+), you save energy and thereby alleviate the strain on the environment. The Catellani & Smith Lederam Manta S2 is equipped with the newest generation of LEDs, which do not require a transformer and can be run directly off the mains and also be dimmed. Tell other customers and us about your experiences with the Lederam Manta S2 ! The Catellani & Smith Lederam Manta S2 is particularly well-suited for the dining room. There, the pendant light provides soft, harmonious zone lighting. Thereby, the room is not only sufficiently illuminated but also gains a pleasant atmosphere. Moreover, the luminaire functions as an unprecedented eye-catcher, which immediately attracts the attention of anyone entering the room. However, the Catellani & Smith Lederam Manta S2 also really comes into its own when installed above a coffee table in the living room.